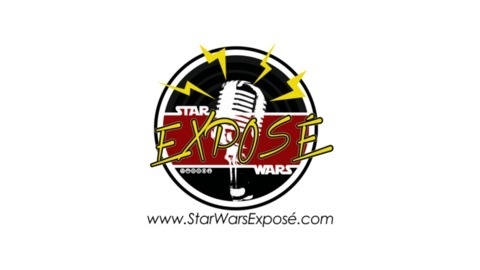 www.StarWarsExposé.com "EXPOSÉ UPDATE": FIRST, it's a 10-15 minute comedy show hosted by Jeremy Williamson & Alex Chellberg with REAL Star Wars news, but some made up goofy stuff that's JUST for YOUR ENTERTAINMENT... LAUGHING IS HEALTHY!! SECOND, it's a COMEDY done similar to "SNL Weekly Update" THIRD, it's a COMEDY with JOKES that should NEVER be taken seriously to hurt anyone's feelings. "EXPOSÉ UPDATE mini": Same as above but maybe 5 minutes or less. "EXPOSÉ INTERVIEWS": A high energy talk show interviewing the world's most inspiring and successful STAR WARS FANS, sharing their journey, laughing along the way and empowering listeners to take their STAR WARS FANDOM to the NEXT LEVEL. 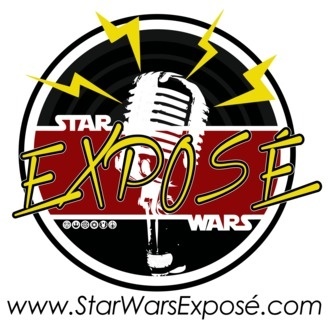 "EXPOSÉ SPECIAL": A show that is about random STAR WARS topics, but AWESOME as ever!! "EXPOSÉ EXAMINATION": Not a round-table discussion... it's more of a... DEBATE... between Jeremy and Alex with alcohol involved... a GUEST DEBATE MODERATOR, but VERY VERY RANDOM and FUNNY! more info to come soon... "EXPOSÉ-ALLIANCE ROUNDTABLE": A roundtable in-depth discussion on certain topics. Hosted/Mediated by Jeremy Williamson with Alex Chellberg, Danny Smith, Gerard Baer, and special guests too. THERE IS NO RAMBLING or FILLER CRAP ALLOWED in this show, because these people are FOCUSED on the TARGET. "Stay on Target.. stay on target... almost there... almost there!" SOCIAL MEDIA: TWIT / IG / SNAPC / VINE / LINKEDIN // @JMIAHONLINE || @CHELLBERGALEX Join our FACEBOOK GROUP to plug-in at "Star Wars Exposé" CONTACT US: Email us at StarWarsExp@gmail.com OUR MISSION: Helping the Professional fans tell the world About what they do! We love to collaborate with those fans in promote each other but our motive is to try and out give by promoting their missions by interviewing them, using our platform to help them be more successful, and build some amazing new friends that LOVE STAR WARS like we do!! **StarWars NEWS… like you’ve NEVER HEARD BEFORE on THE LOCATION OF KYLO'S JEDI MASSACRE, THE STAR WARS BATTLEFRONT WORLD CHAMPION and THE DLC UPDATE, “ON REBELS”, MYSTERIOUS STAR WARS PREACHER MAN or MEN, AND NEW LEGO ANIMATED SERIES!! THIS IS AN EXPLICIT EPISODE but we “beeped” out as many words as we possibly could, but might have missed a few here and there. NOW, we’re warning you… this MIGHT NOT be the podcast you’re looking for, but you WILL DEFINITELY… BE BACK FOR!!! TV/FILM, A RADIO SHOW IN THE PODCAST WORLD, HIGHEST QUALITY PRODUCED STAR WARS PODCAST, THE BEST STAR WARS SHOW!